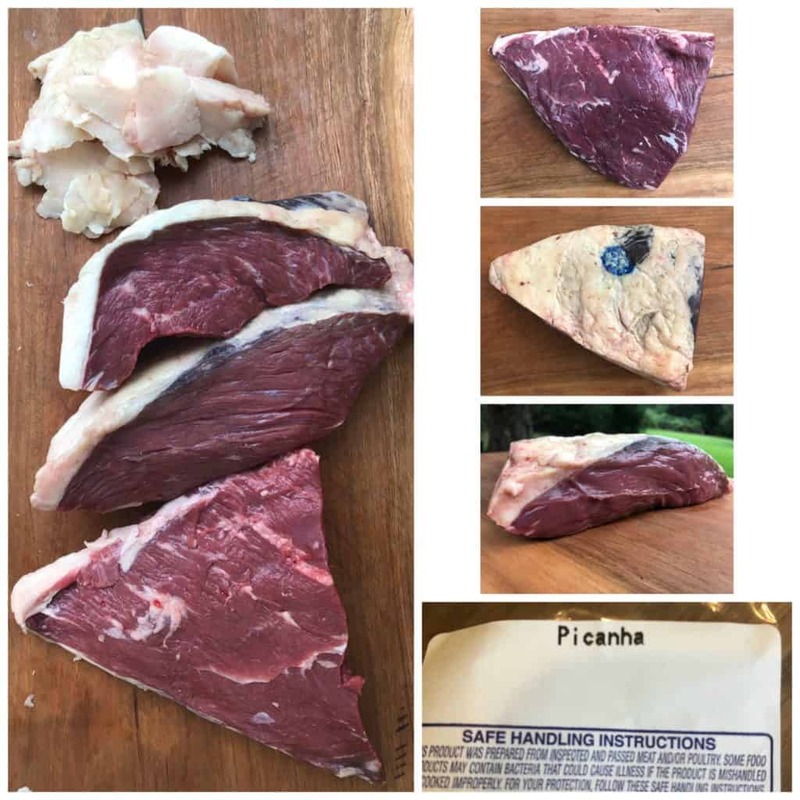 I was fortunate enough to find a local butcher that could hook me up with a picanha steak this week and it was fun learning about this classic cut of beef. 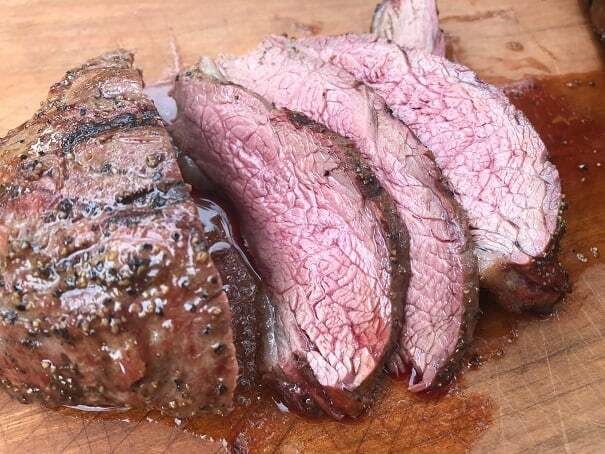 Picanha is the national steak of Brazil and when you start talking about how to cook it you are going to run into a lot of highly passionate folks saying that the ONLY way to cook this steak is by “XYZ method”. I ignored them. The steak I was working with was a two and a half pounder with beautiful color and a substantial fat cap. I trimmed some of the hard fat cap away and then sliced the roast into three individual steaks. The steaks got hit with a liberal coating of salt and pepper and were rested at room temperature for an hour. I set up my Weber kettle for Indirect High Heat with a full chimney of lit charcoal banked on the left side of the grill and the steaks placed on the right side of the grate. 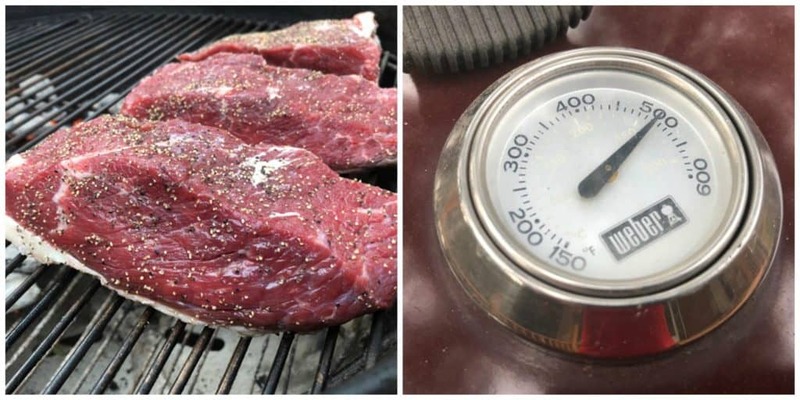 After the steaks had been cooking for about 30 minutes they reached an internal temperature of 120F. I moved the steaks over to the hot side of the grill to give them a nice sear. The fat cap rendered fast and put on a heck of a show as it flamed up. You have to be paying attention at this step and keep the steaks moving! Pro Tip: Using a set of GrillGrate panels makes this part super easy. When the steak reached an internal temperature of 135F they were pulled from the grill and rested about 10 minutes before being sliced and devoured. This steak was very tender with a deep, earthy flavor. Picanha manages to strike what might be the perfect balance between being naturally lean but incredibly juicy. 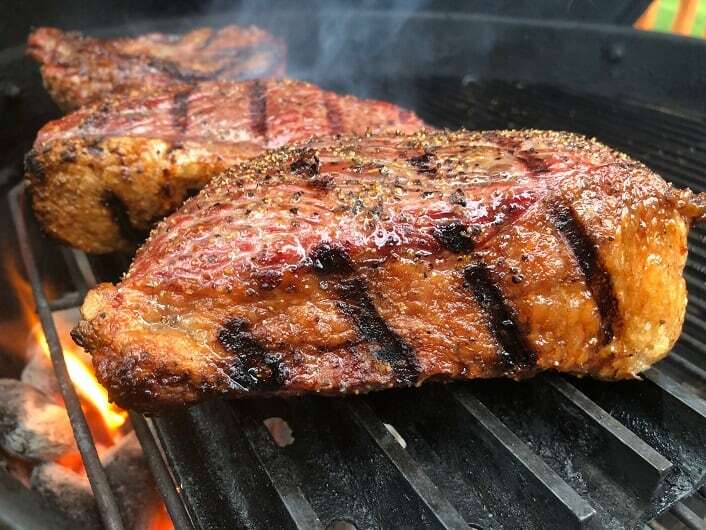 There were some bites that tasted distinctly like sirloin while others that felt like the could have been a tri tip. This got me wondering about the origin of this steak and how it relates to other cuts of beef. Where Does the Picanha Came From? It turns out that, like most cuts of beef, there are multiple names for this steak. 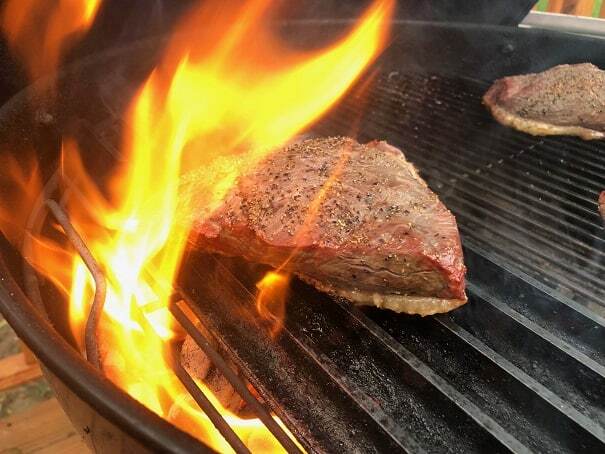 Picanha is the same cut as a Top Sirloin Cap which is the same cut that is called a Coulette Steak. Here is a look at how the Top Sirloin Cap is separated out of the overall sirloin. When you get a whole picanha you can either slice it into steaks like I did or cut it for skewers like you get at Brazilian steak houses. Here is a great video showing how and why you cut this piece of meat depending upon how you choose to cook it. 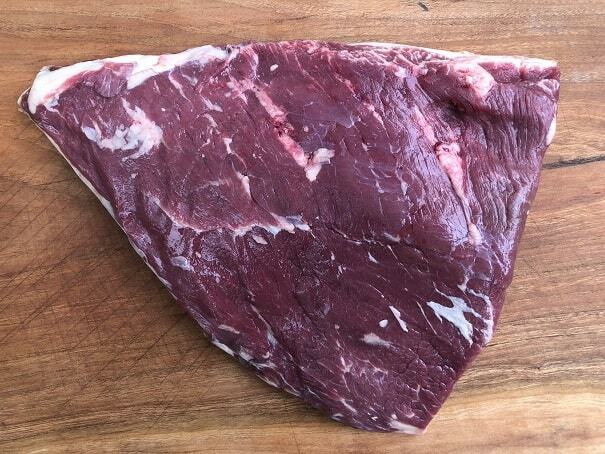 The location of the picanha at the top of the sirloin, along with its triangular shape automatically draws comparisons to the tri tip which is located at the bottom of the sirloin. Let’s take a look at a couple of head to head battles between these two specialty cuts from the sirloin. Two of my favorite YouTube channels, Sous Vide Everything and Pitmaster X, have both done head to head battles of picanha vs tri tip. Here is the challenge from Sous Vide Everything. Here is the head to head challenge from Pitmaster X. The big take away from these challenges is that while these cuts have many things in common that they are absolutely not the same cuts of beef. Which one is actually better is pretty much a toss up and will come down to your personal preference, availability and cost. But both are seriously great eats! This is a specialty cut and you will usually have to order it in advance from your butcher. If you are in the US you might have better luck by asking for a Top Sirloin Roast. The easiest way to buy a picanha is to order one online. Coulette Steaks from Snake River Farms. When you get to the Snake River Farms site do a search for “Coulette” and it will take you to the most amazing picanha available in the world.